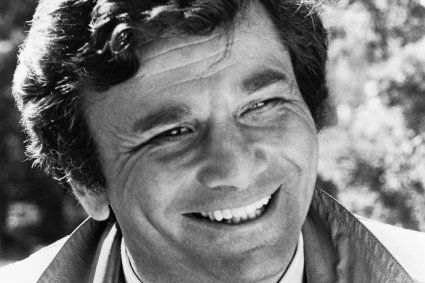 From its pilot in 1968 to its curtain call in 2003, Columbo ran for 35 years and comprised 69 episodes. The full list of Columbo episodes in chronological order can be viewed below. Click on the links to read my reviews of the episodes. I may not get round to reviewing them all until about 2025 at current rate! You can also vote your your very favourite episode here! Support Columbophile! Buy him a coffee and help make this site better! You can read about my all-time Columbo top 10 episodes here. It should have been called a case of immunity, it looks as if ITV4 have messed up the titles, must admit Forgotten Lady looks better, the Arab episode was a little flat. How odd? Bungling schedulers… As coincidence would have it, Case of Immunity is the next episode chronologically to Forgotten Lady and the next episode I’ll be reviewing on the site. I haven’t watched Immunity for some time, but from memory Forgotten Lady is the superior outing. Hey fellow Columbo addicts ! Kind of a newbie question, but looking at the Season 10 kaleidoscope, from which episode is the first screenshot from ? (the lieutenant lighting up his cigar in the dark) Iconic ! It’s his comeback intro in Columbo Goes to the Guillotine. Very nicely done! Thanks ! Just re-watched it, indeed nice scene with the smoke and that 80’s blue style 🙂 By the way, you’re doing a great work Columbophile, thanks for keeping the legacy of one of the most important detective fiction ever created ! I watched my first one when I was 6, and will never forget its impact. Cheers from France ! Generally I don’t prefer the later Columbo episodes over the “originals” for any number of reasons; but I’m watching “Murder of a Rock Star” with the very respected actor Dabney Coleman, and am finding it very watchable. I forgot to add that I eagerly await Columbophile’s opinions regarding this episode!! I have enjoyed this blog/site more times than any other in TV/movies. Thanks Scott! It will be a long while before I reach this episode but l be viewing with fresh eyes as I haven’t seen it for YEARS. I love Dabney Coleman in that episode. I remember watching Colombo in Poland in late 70 and 80.Now I’m watching again Colombo in USA in NY.What a great feeling. Thanks for those interesting and very complete reviews ! I enjoy reading them after having watched each episode. It’s like enjoying the show a 2d time, discovering new details I didn’t ever notice. Specially appreciating your expertise while putting each episode in the overall perspective of the series. I hope you will be able to go on, as I’m starting season 5 right now and that’s where the reviews end so far. Thanks Jay! Yes, the reviews will continue, although once a month is about as fast as I can manage. Forgotten Lady review likely to be out in Feb. I wish to purchase all the episodes DVDs of columbo . I am the big fan of his . I love every episode I have watched . I wonder if someone can help me find the name of an episode. Somewhere near the end of the episode, Columbo explains that the victim (who I think was locked in a room) scratched a “deathbed” message using the carbon from a light bulb or match (not sure). The main thing I remember is Columbo saying to the suspected killer that the message, which implicated the killer, was “deathbed testimony” and was very powerful evidence. Help! Thanks in any case! It’s Try and Catch me from Season 7. One of the best! Oh, Thank you!!! Much appreciated! it was a walk in safe where the murderer stored cash an valuables and manuscripts in which her latest novel was titled the night I was murdered , Edmund the victim used a burnt match out of six matches (as he was a smoker)he used the remaining 5 to see to and he then used his last burnt match to delete ; The night; leaving, I was murdered by Abigail Mitchell on the title page which he then fixed in to a blown light bulb socket with an arrow pointing upwards which he scratched onto some metal boxes, it is vintage columbo and my personal favourite . Can anyone give me the name of an episode where Columbo nails the evidence via an altered security video that shows the image of an untrimmed hedge outside a property, but which date stamp doesn’t quite fit, as the same hedge is shown as trimmed hours (or possibly a day) earlier? It was altered by the antagonist in order to provide a watertight alibi, but Columbo’s sharp eye spotted the oversight. It’s a ‘gotcha’ that I really liked so want to trace the episode for an overdue re-watch. Any help would be gratefully received! Murder Can Be Hazardous to Your Health. Can’t wait for your review for the “The Conspirators” episode. P.S. : My favourite episode! 🙂 Clie Revills performance as Joe Devlin is awesome and also the quy with the camper van fit well in the episode. troubled waters and playback 2 top episodes I meant to say try and catch me and the bye bye are still a little bit in the distance 1976 and 1977. Question: I just discovered a Columbo episode online that I don’t find mentioned in either your list or DVD collections. It’s described as a TV Movie that aired in 1979 with Hal Holbrook as the villain (I think…haven’t watched it yet). Title is “Murder by Natural Causes” and it aired on CBS. Were there other Columbo TV Movies between Season 7 and Season 8 that have never been put in DVD or in a collection? Why was this episode not included in the boxed DVD collections? From what I can see from quick research, Murder by Natural Causes was created by Columbo creators Levinson and Link, but it is not a Columbo episode. Reading the synopsis it doesn’t appear to have a police element at all. Thanks so much for your quick response, explaining the status of Murder by Natural Causes. Also appreciated the link to the “lost” Columbo episodes. Well done! I am finally ready to declare my dislike for a particular Columbo episode. It is “Columbo Cries Wolf”. My first negative impression came early on when the suspect DESCRIBES how Columbo operates. It’s as though we have a new younger audience to whom everything has to be spoon fed. There is a lot more I can talk about later; things that don’t ruin a first watch, but definitely stand in the way of my ever seeing this again. I agree it’s not the greatest of all episodes… however in Prescription Murder, the pilot episode from 1968, the suspect, dr. Ray Flemming, describes the way Columbo operates as well, and in greater detail. And he wouldn’t be the only one to do so. Other suspects have remarked on Columbo’s subtle ways of never coming to the point, though never as detailed as Flemming did (but then Flemming was a psychiatrist and he and Columbo were having an after working hours session). So my point is, the suspect describing the way Columbo operates is like being the voice of the viewer and personally I don’t mind that at all. And I don’t think it has anything to do with spoon feeding a younger audience, it’s the suspect telling Columbo that he’s on to him. And we, the viewers, can be thrilled to know that that may be so, but that it won’t be enough to save him. I agree I don’t like columbo cries wolf that much either but there at least 5 or 6 new episodes worse than it mainly undercover , murder in Malibu , no time to die , I also cant stand murder with too many notes and murder a self portrait is drossy.